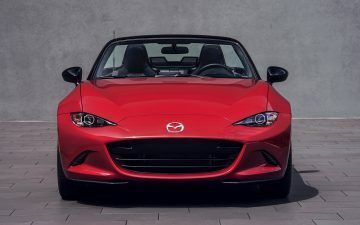 When Mazda introduced the original MX-5 Miata in 1989, the engineers, designers and product planners couldn’t have had an idea just how successful it would become as a racecar. Its lightweight, straightforward roadster design, superb handling, rear-wheel-drive layout and revvy, sporty powertrain made it a natural. In fact, one of the three original first generation MX-5s revealed as part of the Miata’s production model debut at the Chicago Auto Show in 1989 was ultimately built into a race and rally machine. 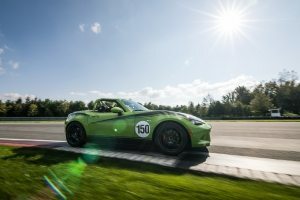 The Sports Car Club of America’s Spec Miata racing class was next, and over time successive generations of MX-5 were further developed into a variety of amateur and professional series race cars, allowing Mazda to legitimately claim the MX-5 as the “world’s most raced sports cars.” It is estimated that more than 3,000 MX-5s have been converted to racing spec and competed around the world. 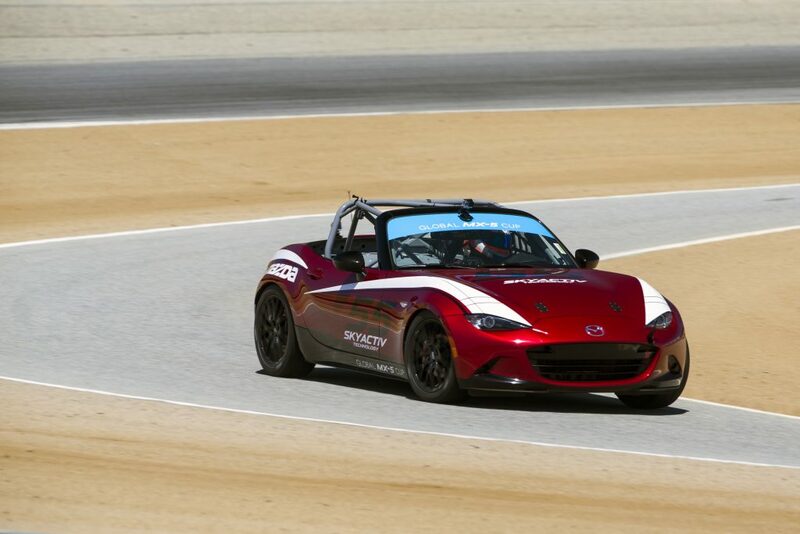 The Global MX-5 Cup car is among the most affordable, factory-authorized, ready-to-race cars on the world market today. 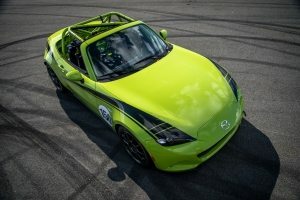 Mazda wants the cars to be built to a single spec, so it tapped Long Road Racing (LRR) to be the sole builder of the car. LRR is an experienced, family run racing shop based in Statesville, North Carolina, the heart of NASCAR country. It’s an area deep with a wealth of engineers, technicians and mechanics who know how to develop and build racecars. 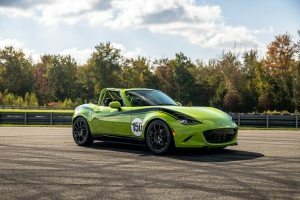 The racecar starts as a fourth-generation production line Mazda MX-5 and receives more than 250 modifications and component changes to become track-ready. 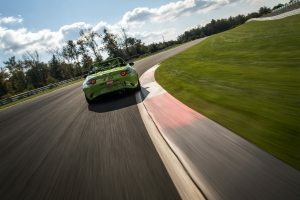 Mazda Motorsports supplies LRR with identically equipped MX-5 Sport models built to a certain specification, all with 6-speed manual transmissions and a stock 2.0-liter SKYACTIV-G inline four-cylinder engines. 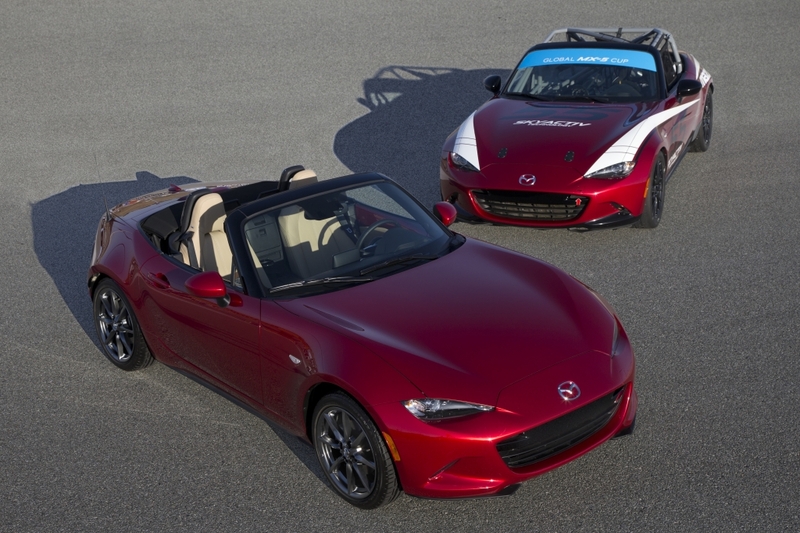 All are finished in Arctic White, as the paint color weighs several pounds less than Mazda’s signature Soul Red Metallic. 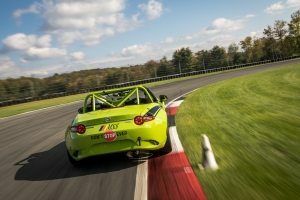 Upon delivery in North Carolina, Long Road Racing takes a MX-5 that is exactly the same as you’d find at your local Mazda dealership and fully disassembles it down to the bare frame. All seam-sealing compounds and sound deadening materials are removed, as they aren’t necessary in a racecar. The next major step is the installation of a super strong, welded in, NASCAR style safety roll cage structure, which meets the requirements of the FIA, NASA and the SCCA. The cage and car’s interior are then repainted in a tough industrial gray finish. 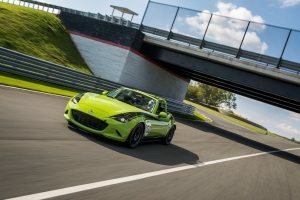 After which the car’s reassembly into an MX-5 cup racer begins; the factory engine remains internally stock, and a Mazda Motorsports specific 6-speed gearbox is mated to it. 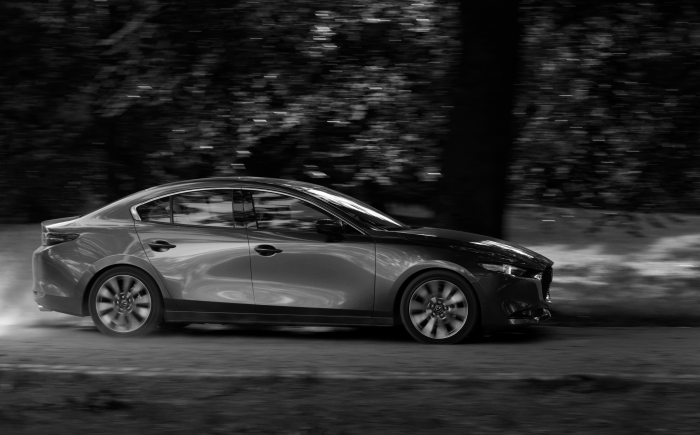 The car then gets reassembled with a smorgasbord of racing parts and components specifically developed and tested by Mazda Motorsports and its many technology partners. This includes everything from special motor mounts, to tow hooks, a digitized instrumentation panel, racing wheels and slick tires, onboard fire system and a complete racing exhaust. The engine management computer systems, suspension and other systems are upgraded, tuned and factory sealed to maintain consistency between each car produced. 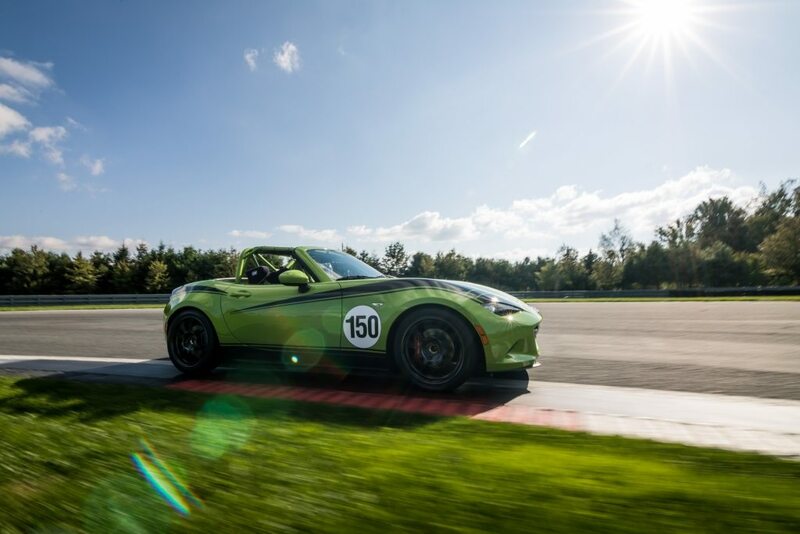 When Long Road Racing’s work is done, the former street-legal, road-spec MX-5 becomes a bonafide racecar, eligible to race in a variety of series around the world, including the MX-5 Cup-only “spec” series currently contested in the United States and Japan. The car is delivered turn-key, track-ready, but no longer street-legal, and costs $58,900. Anyone can order a car from Mazda Motorsports or directly from Long Road Racing. It’s a great way to go racing for drivers of any experience level. And you know you’ll have fun, because you’re behind the wheel of a MX-5.